One of the most popular motor racing events is the Grand Prix. The thrill and adrenaline are unmatched as you’re watching world-class drivers manoeuvre their way around hairpin turns during the Formula 1. Pair this experience with a cruise and you can enjoy some of these world-famous events alongside a luxury cruise for the perfect mix of action, adventure and relaxation. 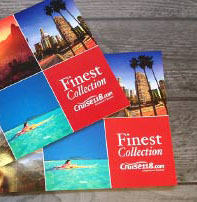 You can either find a cruise and book your tickets separately or tailor-make a package with our Finest Collection to include tickets, hotels and exclusive experiences all in your cruise fare. The Grand Prix events occur around the world, from the Australian Grand Rolex Grand Prix which commenced 14-17 March to the Etihad Airways Abu Dhabi Grand Prix from the 28 November to 1 December. It’s almost a year-round occasion, which means if you’re looking to enjoy a cruise and watch the Grand Prix, there are plenty to choose from! The Australian GP is in Melbourne, with the racing at Albert Park over the course of three days. This is typically the first event in the Grand Prix circuit and is the second-oldest surviving motor racing competition in Australia, having commenced over 80 times since the first event in 1928. The Australian driver, Lex Davison, is one of the most successful drivers in the history of the event, winning four times in 1954, 1957, 1958 and 1961. There are many cruises which visit Melbourne during a sailing, including cruise lines such as Viking Ocean, Celebrity Cruises and Silversea. These range from world cruises to short-stays of four-nights or more. As your chance to catch the Australia 2019 Grand Prix has passed, why not take a look at our March 2020 sailings to Melbourne for a chance to catch this event first-hand? 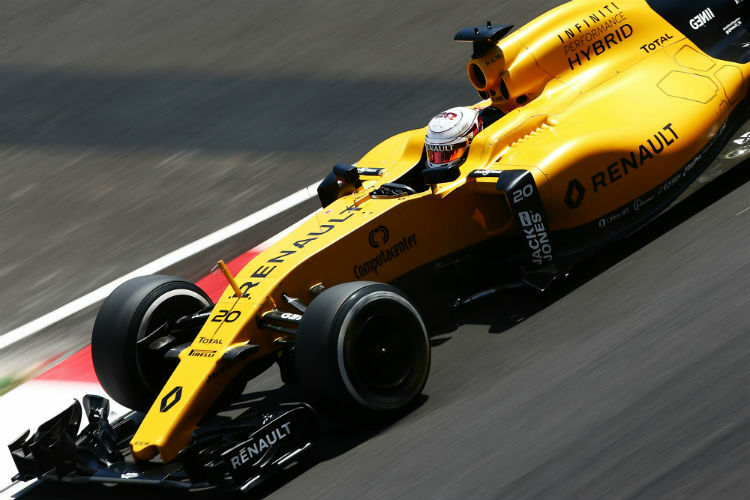 Enjoy the Bahrain Grand Prix at the Bahrain International Circuit in Sakhir, Bahrain. This is quite a new addition to the Formula One championship, having only joined in April 2004, when it made history as the first Formula One Grand Prix in the Middle East. The course has giant run-off areas, which prevent sand from getting on to the track and makes Bahrain one of the safest tracks in the world. The event has also been given the award for the Best Organised Grand Prix for the FIA (Fédération Internationale de l’Automobile). Cruises tend not to sail to Bahrain so the closest port is Doha, Qatar, which is included on most sailings along the Arabian Gulf. The 2019 Bahrain GP is at the end of March, so why not take a look at March 2020 sailings to the Arabian Gulf for a chance to watch this sporting event up-close? 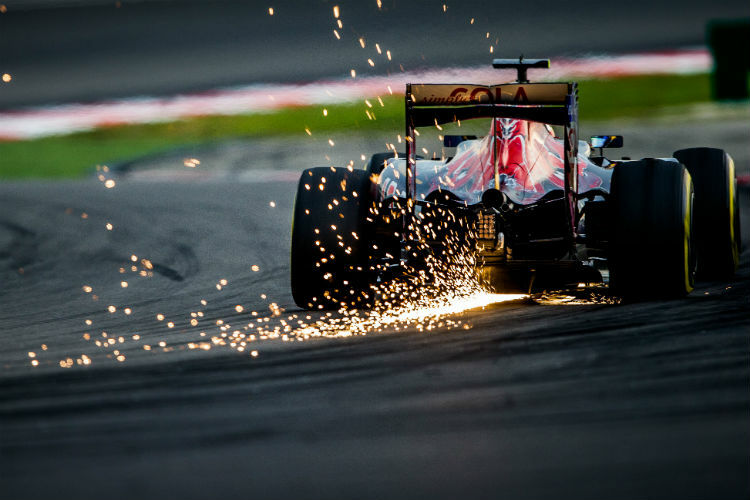 Visit the Shanghai International Circuit in Jiading, Shanghai for a chance to enjoy adrenalin-fuelled sport first-hand. 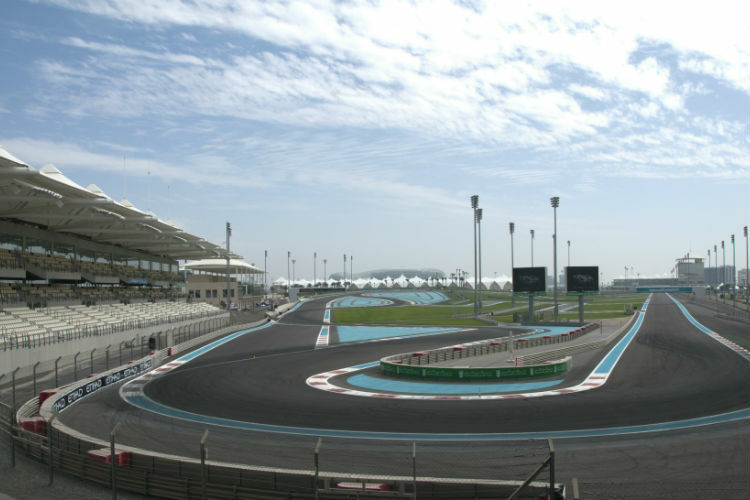 The venue for the championship was the most expensive Formula One circuit facility, costing $240m when it was built in 2004. It also features one of the trickiest corner combinations in the Formula One events, featuring a demanding 270° right-hand corner which requires high speed and tightens up at the end. The Grand Prix first took place in China in 2004, and the 2019 Shanghai Grand Prix will host the 1,000th round of the Formula 1 championship! The 2019 Shanghai event is quite close, so why not take a look at March 2020 cruises to Shanghai if you’re keen to catch this race in person? Enjoy the Spanish Grand Prix at the Circuit de Barcelona-Catalunya, based in the beautiful city of Barcelona. This race is one of the oldest in the world still contested, celebrating its centenary in 2013. Cruises often visit or even embark from the port of Barcelona, making it an ideal event to pair with a cruise. Enjoy sailing with cruise lines such as Crystal Cruises, Azamara or Seabourn, plus many others, as you visit this cultural city of Spain. There are still many sailings for May 2019 if you’re itching to get close to the track, however you might not get any tickets. If you’re keen to watch the Spanish Grand Prix has not been confirmed for 2020 yet, so it’s worth holding back until further details are revealed. We will update here with confirmed dates as soon as they are available. Probably the most iconic Grand Prix circuit and having been held each year since 1929, the Monaco Grand Prix is one of the most prestigious and important automobile races in the world. It occurs in a street circuit, with tight corners and many elevation changes, making it one of the most demanding in Formula One. 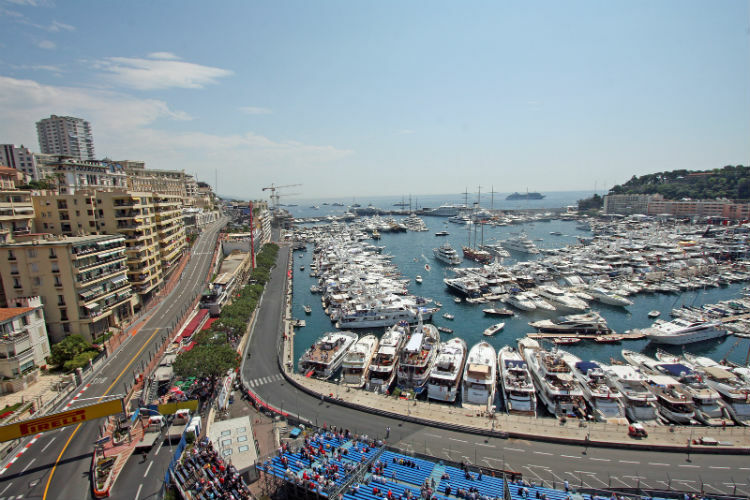 The track flows through the cities of Monte Carlo and La Condamine, including the iconic harbour. Alongside the Italian Grand Prix, Monaco’s Grand Prix has is unique in having been held at the same circuit every time over such a long period. 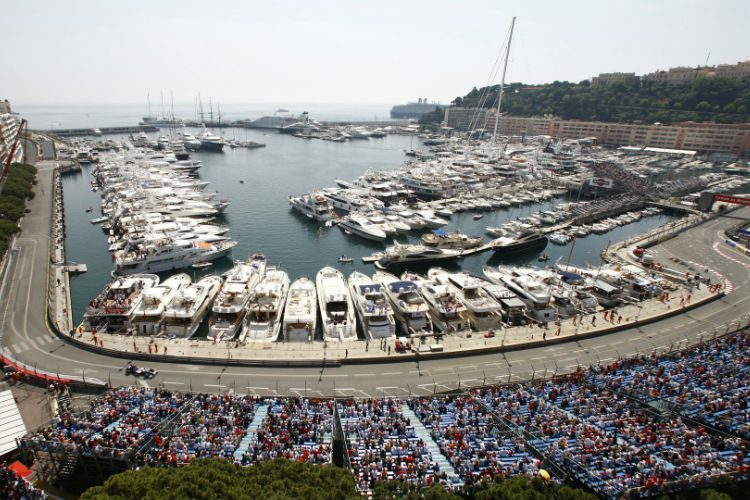 As the race takes place in such a built-up area, Monaco has many temporary grandstands erected around the harbour and circuit area. Along the harbour, yachts gather to spectate from the water and hotel and resident balconies also get a fantastic birds-eye-view of the event. Cruises here are popular, with the Grand Prix taking place in the early summer for warm Mediterranean breezes making this an experience to enjoy all year-round. The Canadian Grand Prix occurs each year in Montreal at the Circuit Gilles Villeneuve on Notre Dame Island. May cruises visit here, as well as embarking from here, making it a great opportunity to watch the race then enjoy a luxury sailing. In 2005, the Canadian Grand Prix was the most-watched Formula One Grand Prix in the world, coming third behind the Super Bowl XXXIX and the UEFA Champions League Final. In 2014, the organisers revealed there is a ten-year extension to keep the Canadian Grand Prix at the Circuit Gilles Villeneuve until 2024. The event takes place in June 2019, with many sailings here on cruise lines such as Seabourn, Regent Seven Seas and Viking Ocean. Visit the south of France and watch the French Grand Prix in June 2019. It was formerly known as the Grand Prix de l’ACF as one of the oldest motor races in the world. However, it ceased in 2008 after 85 races due to circumstances involving finances and venues. The race returned in 2018 at the historic Circuit Paul Ricard in Le Castellet. The background of motor racing in France was influential in the early years of Grand Prix racing, and lead the establishment of rules and regulations as well as trends for the evolution of racing. It’s certainly a bucket-list Grand Prix if you only have to pick one! Many cruises visit here as it’s in a popular location. Cruise ports nearby include Toulon and Sanary-Sur-Mer, with both within enough reach of the Grand Prix circuit. Most cruises which visit one of these ports will most likely visit the other, with Toulon being slightly more popular than Sanary-Sur-Mer. The Belgian Grand Prix is held at the Circuit de Spa-Franchorchamps, in the Spa region. The first race was held here in 1925, with the region having been associated with motorsport ever since. This race is favoured amongst fans and drivers due to its scenic surroundings and historical circuit. To cruise here, you could sail to Antwerp and transfer to the circuit over two hours, which we can arrange for you with our Finest Collection packages. There are many cruise lines which visit Antwerp, including Azamara, Seabourn and Regent. Taking place at the Marina Bay Street Circuit, the Singapore Grand Prix is close to where cruise ships port in the city, at the Marina South Pier. This Grand Prix was the inaugural night race and the first street circuit in Asia which was designed for Formula One races. In 2018, it was ten years since the race was held at the Marina Bay Street Circuit, prior to which it was known as the Malaysian Grand Prix before Singapore gained independence in 1965 and it was renamed the Singapore Grand Prix. 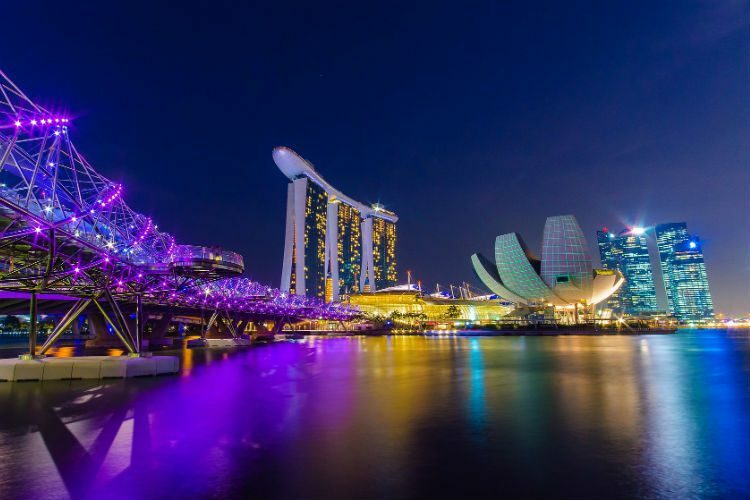 There are plenty of cruises which sail to Singapore, offering many opportunities to set sail to this diverse city and watch this adrenalin-rushing event unfold. The 2019 Singapore Grand Prix is in September this year, so there’s still time to plan if you’re keen to watch this year. However, the Singapore Grand Prix has not been confirmed for 2020 yet so it’s worth holding back until further details are revealed. We will update here with confirmed dates as soon as they are available. Taking place at a track built by Soichiro Honda – Japanese engineer and founder of Honda – the Suzuka track was initially built to test cars for the business, before making its first appearance on the Formula One calendar in 1987. It’s known for its iconic crossover feature and is the only figure-eight track to appear in Formula One – original drawings show that the track was potentially going to have three crossovers, not just the one! Historically, the Japanese Grand Prix was the last race on the F1 calendar, meaning that it was the venue for many title-deciding races. 13 World Championships have been crowned out of 30 at the Japan Grand Prix. The Japanese Grand Prix takes place in early October, during the milder months and late summer of the country. You can cruise to nearby ports such as Nagoya, Kobe and Osaka – each of which is within a few hours drive. 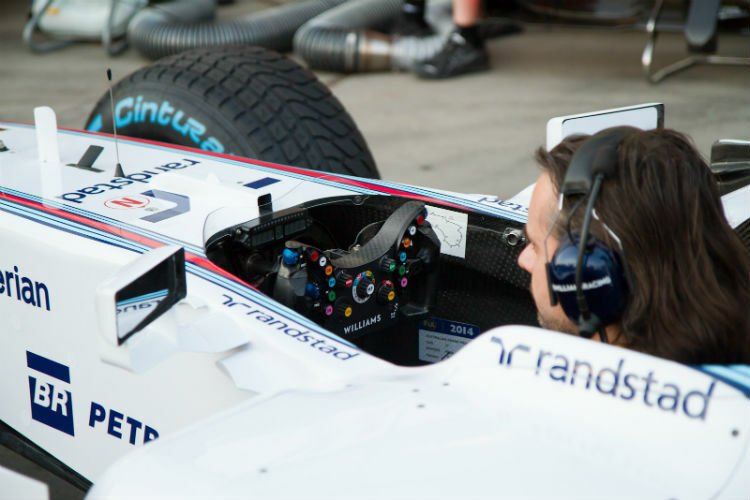 We can arrange travel for you with one of our Finest Collection packages, ensuring a relaxing sailing and exciting experience at the Japanese Grand Prix. Despite being sat right in the centre of Mexico, the Mexico Grand Prix conveniently takes place right beside an airport, where you can fly right to the Grand Prix either before or after your cruise. If your cruise ends in Mexico, there is a selection of ports which you can fly from including Acapulco, Cabo San Lucas, Cozumel, Ensenada, Progreso and Puerto Chiapas – each of which only takes a couple of hours. The circuit itself is 2km above sea level, making the 4.3km lap a breathless experience. The surrounding area is a vibrant metropolis and offers plenty for you to explore during your stay. One of the unique features of the track is that it also winds through the old Foro Sol baseball stadium, where you can get great views down into the cockpits and enjoy the atmosphere of the crowds. The 2019 Mexican Grand Prix is in October, with plenty of time to arrange travel here. Dates are yet to be released to 2020, but we will update as soon as they are available. The United States Grand Prix has been held in the U.S. on and off since 1908, where it was often referred to as the American Grand Prize. As of 2018, the race has been held 48 times and taken place at ten different locations. Since 2012, however, the race has been held every year at the Circuit of Americas in Elroy, Texas – just 12 miles south of Austin. If you’re keen to visit Texas and watch the Grand Prix, one of the best ways to travel would be to fly in and out of Austin either from or on to your cruise departure port. We can arrange any of these options for you and tailor-make a package perfect for you! As one of the most modern race tracks on the Formula One calendar, a visit to this sporting event is a must for those considering where to go. Austin is also full of great food and nightlife, making it ideal to bookend either side of your cruise! Taking inspiration from the three main circuits – Brooklands in the UK, Roosevelt Raceway in the USA and Montlhery in France – the Brazilian Grand Prix has a track that is built on the foundations of racing history. The Autodromo Jose Carlos Pace, more commonly known as Interlagos, was built in 1938 and first took part in the Formula One from 1973. The first three Brazilian Grand Prix races saw home wins with Fittipaldi in 1973 and 1974, then Carlos Pace in 1975. There is a real carnival atmosphere at this Grand Prix in the true Brazilian style, which is something every Formula One fan should experience! 2019’s Brazilian Grand Prix is held in November, meaning there is plenty of time to arrange a trip here. There are some cruises to Sao Paulo, but not many, so it might be better sailing to or from Rio de Janeiro and flying to the Grand Prix from here. We can happily arrange all of your travel requirements, no matter which way you decide to get there. The Yas Marina Circuit was completed in 2009 when it first appeared on the Formula One calendar and debuted at that year’s finale. The backdrop for Yas Island was very much a blank canvas eleven years ago, now you can take your pick of seven hotels, Ferrari’s indoor theme park, a shopping mall, waterpark, a golf course, beach, concert arena, nightclub and stunning weather – the perfect place to watch the Grand Prix! One of the hotels, Yas Hotel, even has trackside hotel rooms where you can watch the races from your window. Or, why not take a seat aboard a boat in the marina for a whole other experience? 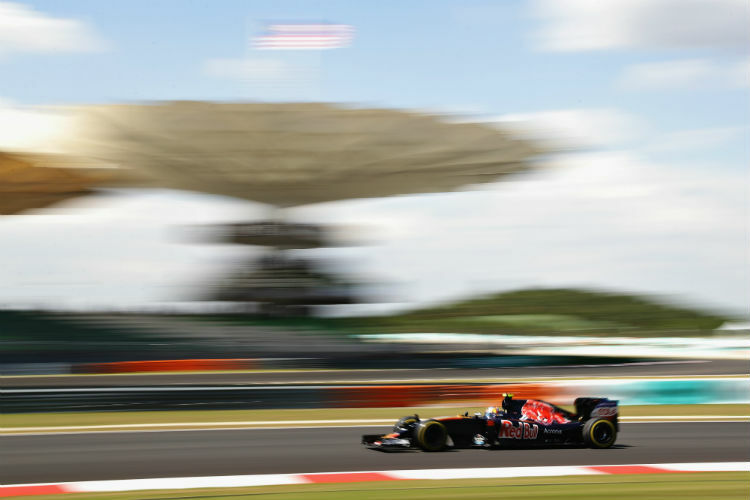 The race is a day-night race and was Formula One’s first ever race of this kind starting at 5pm local time. Floodlights are switched on part-way through the race to provide a seamless transition from day to night for the drivers. The circuit is very close to the Abu Dhabi cruise port, so you could choose to cruise before or after the Grand Prix with ease – just tell us which you prefer and we can arrange it for you! Unfortunately, there are a few Grand Prix events which you can’t reach by cruise ship. This is because they are either land-locked or there aren’t any nearby cruise ports to allow ships to dock. If you really want to catch one of these Grand Prix events first-hand, you will need to fly out to their respective cities and fly back again. You can still pair these with a cruise, you would just need to ensure your flights take you to the embarkation or disembarkation port. Take a look at our latest Grand Prix cruises by clicking the button below, each of which is a bespoke package which can be tailored to your preferences. If you would like to build your own Grand Prix cruise and stay package, call our Cruise Concierge team on 0808 202 6105 for expert advice and award-winning customer service with your enquiry and booking. Have you visited any of the above Grand Prix events? Which would you like to see during a cruise? Let us know in the comments below.